One of the hardest parts of planning my next trip always seems to revolve around who will take care of my two little dogs. They are both old (and spoiled) and really are not good candidates for a kennel, so quite often my poor husband ends up staying home while I head off to Orlando. There is the Best Friend’s Pet Care located on Walt Disney World® property and it is a beautiful facility, close to all WDW resorts so you can visit your pet during your trip, they take excellent care of your pets – but I have a difficult time with the rates at this facility. My cost (discounted for an on-site resort guest) would be around $100 per night/with tax. Add to that cost medicine administration and a bath before pick-up and I would have a very hefty bill added to a five night vacation. Now, if you stay at any of the Universal Orlando™ on site resorts – they have pet friendly rooms. The cost? $50 per night with a three night maximum – so no matter how long you stay – your maximum cost is $150! They even offer a special “Do Not Disturb” sign for your door to alert housekeeping that a pet is in residence. Pets are permitted with a $50 fee per night*. Pet friendly rooms include: Loews Portofino Bay Hotel: Garden View & Bay View rooms only; Hard Rock Hotel: Garden View rooms only; Loews Royal Pacific Resort: Standard rooms only. Your pet(s) should have all recommended vaccinations currently up-to-date, and you agree to obtain and provide current records from a licensed veterinarian regarding your pet(s) should Loews Hotels request this information from you at any time. Click here for the complete Loews Loves Pets Policy. So, for $150 I can bring my pets with me on vacation. Since I drive from South Carolina to Orlando I can stay at a Universal hotel and drive myself to Walt Disney World® when I want to visit those parks and my pets are taken care of by me. This may not work for others, but for me it is a wonderful solution. Hyatt Regency Grand Cypress: 1-6 nights, a $150 non-refundable pet fee will apply. 7-30 nights, a $300 non-refundable pet fee will apply. Only dogs weighing 50 lbs and under are permitted; two dogs allowed if not exceeding 75 lbs total. Service Animals exempt from fees. Extended Stay America-Orlando-Lake Buena Vista: Pets are welcome guests at Extended Stay America. 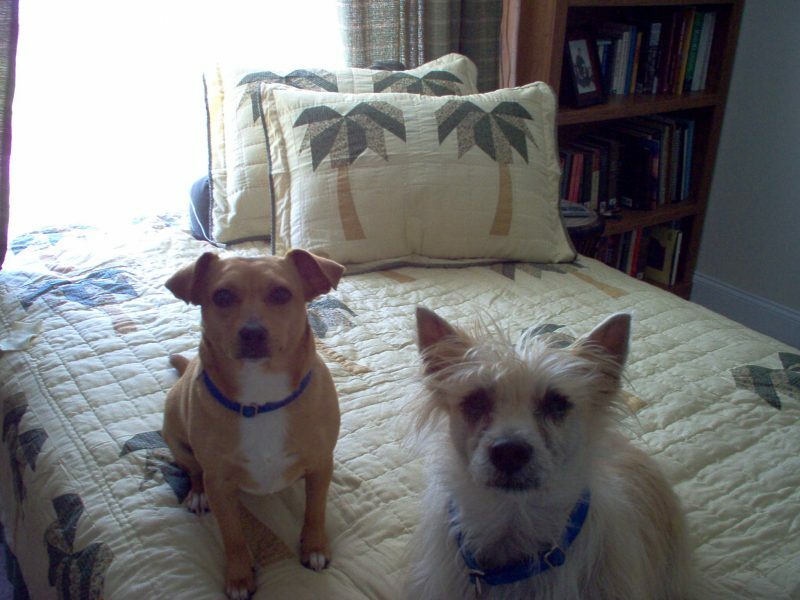 A maximum of two pets are allowed in each guest room. A $25 per day, per pet nonrefundable cleaning fee, not to exceed $150 per pet, will be charged the first night of your stay. Restrictions may apply. Double Tree by Hilton at SeaWorld: Service animals permitted. Pets allowed, 25 lbs maximum weight, maximum size medium. $75 deposit. For a complete list of pet friendly resorts in the Orlando area, visit – Pet Hotels of America Orlando listings. You will be surprised how many resorts in the area will allow you to bring your little ones with you! Pet Hotels of America has a wonderful site that also lists pet friendly vacation homes, restaurants, local parks to visit on your vacation, tips for traveling with your pets, and more. It’s a wonderful resource for those that love their pets and love to travel too!